You can pay by cash if booking in person and we accept Visa, Mastercard and Visa Delta. Ticket reservations must be paid for within three days of booking (excluding groups and Friends of The Stables who can reserve for up to seven days). We are unable to reserve tickets without payment within seven days prior to the performance. All bookings - in person, by phone or online - are subject to a transaction charge of £3.00. Online bookings are subject to an additional booking fee of £1.80 per ticket. 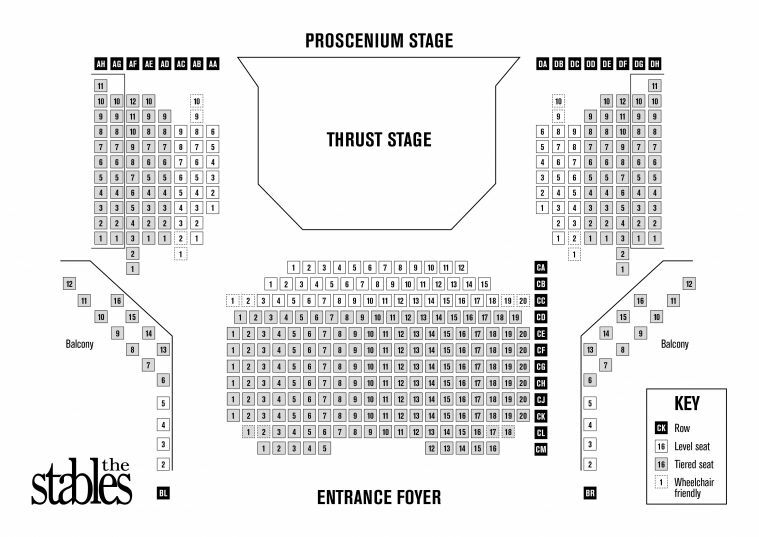 Concessions are available on selected performances and where they apply are indicated on the ticket pricing details. Gift ticket vouchers for The Stables (any denomination) or for Café in 2 and Bar (available in £5 denominations) are available to purchase from the box office.